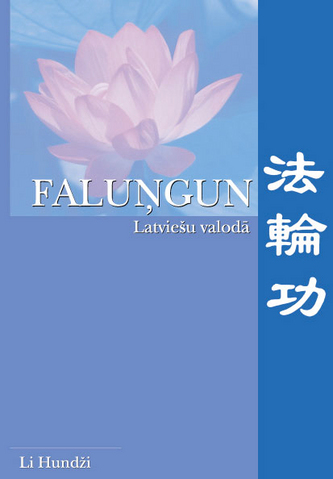 In May 2007, on the eve of World Falun Gong Day, the Latvian version of the book Falun Gong [the introductory text to the practice of Falun Dafa] was officially published and now it is available in book stores throughout Latvia. With the publication of Falun Gong in 1993, Mr. Li Hongzhi forever changed the face of qigong practice in China and by extension, the world over. For the first time, the original, profound principles of qigong were made available to the general public. Falun Gong has since been translated into nearly a dozen languages, enabling Falun Gong’s transmission to a variety of cultures and continents; it has proven itself to transcend cultural barriers. Currently there are hundreds of millions of people in eighty plus countries practicing Falun Gong, which is considered to be the most popular and widespread qigong practice. Practitioners benefit in body and mind from practising Falun Gong. Falun Gong is an introductory book, systematically spelling out the practice of Falun Gong in plain, accessible language. It thus serves as an ideal entry point to beginning the practice.